After the garden clearance or the renovation you had done in your home, it is highly likely that you are left with piles of rubbish in your outdoor and indoor space. The rubbish removal London team will get your home in shape again and will get rid of the collected junk. We have removed big and small piles of rubbish of homes and offices all over London, always delivering great results. Our services have a high success rate and as a result, we have gathered a large group of satisfied clients. 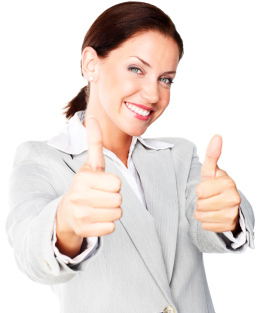 Over on our testimonials page you can read what they have said about us and our services. Garbage tends to pile up over time and there are those moments when you completely forget about the pile of trash in your basement or the heaps of old furniture and damaged or broken items you no longer need. This kind of trash tends to gather up quickly after renovations, moving into a new home and in some cases, even while you pack and sort through your things before you move out. And yet, you still manage to forget about these bags full of no longer needed items, that is, until you see them gathering dust and taking up space. It's ok, your schedule is probably filled with tasks far more important than sorting through and disposing of waste. In these situations, it's always a good idea to call a rubbish removal expert to assist you with this bothersome and time-consuming task. With the help of our services, you'll be able to organize all of the unwanted items and unneeded garbage you want to get rid of for good. After New Year’s my house was a complete mess. 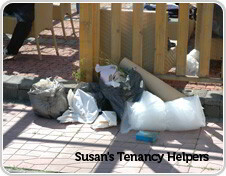 I’m not much into cleaning and I decided to treat my home to one-off cleaning by Susan’s Tenancy Helpers. I made my checklist and booked the service. A team of cleaners came to my property and did everything I demanded. Thank you for your help. To make bookings on affordable waste removal in London dial 020 3404 5577 now! We have a team of customer representatives available 24/7 to offer you free of charge and obligation estimates on your property's rubbish removal needs. Alternatively, use our live chat and online booking form for orders while sitting in front of your computer. Our waste removal London services are less hassle and cheaper that hiring a skip. You will only pay for the amount of rubbish we remove, unlike the flat fee for the skip hire. And you will not have to wait days to rid your property of the collected waste, talking to the council. All you have to do is choose a day and time and give us a call. You can book a service with us every day of the week and evenings, at the same price. Our waste management London team will come fully equipped to do the job while you sit back and relax. And when talking to the staff, ask them about the additional discounts we offer on combined bookings. Schedule waste removal with one off cleaning, and have your home cleaned top to bottom with no rubbish lying around. Or book rubbish collection at the same time as you end of tenancy cleaning, to make sure the property you are vacating is in top condition, and you will get your deposit returned. We offer a variety of London rubbish removal that will take care of every waste disposal need of yours.